I hate glitter. I’m afraid of it, actually. Yes, it’s fun and sparkly and my kids love to smear it across art projects of every kind, but glitter is just so pervasive. It infects everything nearby and makes my table, my floor, and my socks all sparkly, plus it clings to my fingers and face long after I’ve swept and hand-vacuumed. How pretty is a random piece of glitter on your nose, right? And then nobody tells you it’s there until you check a mirror after you’ve already chatted with twelve other moms at school and the library. My girls, on the other hand, are big glitter fans. They’re really proud of these matching pink shirts I got them for school, each with a big silver glitter horse pasted front and center. Are you wondering why I bought the shirts in the first place? Yeah, me too. Let’s just say the picture online was more than a little deceptive. So last week, I washed these fancy shirts with a load of the kids’ laundry, and after I pulled them from the dryer I spent half an hour shaking glitter out of every sleeve and pant cuff in the basket. And where did it go? Onto my kitchen floor, of course. And so we begin again. But there’s something I hate even more. “You were running a good race. 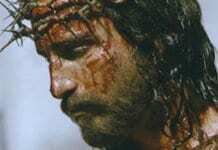 Who cut in on you to keep you from obeying the truth? That kind of persuasion does not come from the one who calls you. ‘A little yeast works through the whole batch of dough’” (Galatians 5:7–9). Glitter is kind of like yeast. It spreads everywhere and multiplies—or at least it appears to. The Bible here equates “yeast” to false teachers who were trying to impose more rules on Christians than Christ ever intended. These misguided statutes eventually permeated the church with unnecessary burdens. Thing is, we can read those words in Galatians and think they applied to some unreasonable troublemakers who lived long, long ago. But they’re still around. They show up in our women’s groups, our play dates, our PTOs and our neighborhood barbecues. They know the “rules” to Christian parenting and they kindly advise us all to adopt them. Christian moms don’t let their kids watch that TV show. Christian moms don’t wear those clothes. Christian moms don’t take their kids trick-or-treating. And they sure as heck don’t do the tooth fairy. No, Christian moms enroll in parochial school. Are you kidding me? Christian moms are advocates for public school. Our kids need to shine a light! Aaaack!!! I’m so confused! Please, somebody tell me, what does it really take to be a good Christian mom? “Jesus replied: ‘Love the Lord your God with all your heart and with all your soul and with all your mind.’ This is the first and greatest commandment. 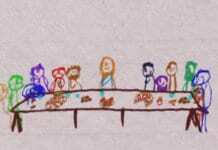 And the second is like it: ‘Love your neighbor as yourself.’ All the Law and the Prophets hang on these two commandments” (Matthew 22:37–40). We’re awfully quick to impose our personal convictions on other moms, aren’t we. Sometimes we forget they are just that—personal. God laid some core, universal, biblical convictions for all believers to follow, yes. But most of them offer wiggle room for interpretation according to what works best for your family. Chief among these biblical commands is to love God and others. Are we showing love to other women when we judge them for making a choice that God himself does not condemn? 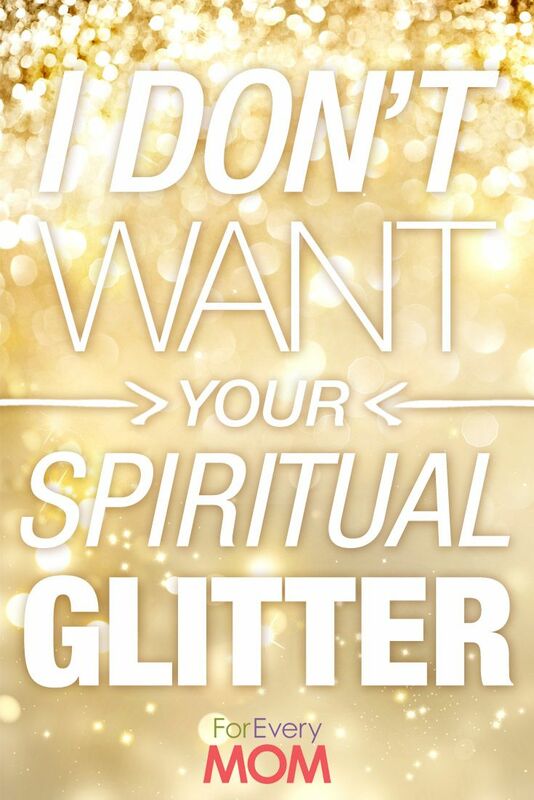 Just like that glitter tainted my entire basket of wash, superior attitudes from fellow Christians can taint a community of believers. 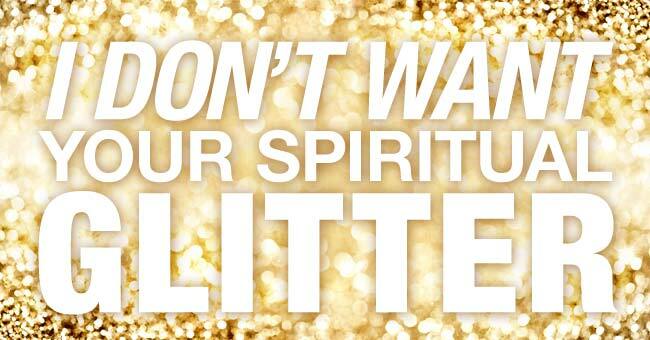 Their “spiritual glitter” has a way of discoloring the varying hues God designed for his people. And it’s awfully hard to brush off once it sticks. So the moral of my story is, read the product description before you order glitter horse shirts online. And show love to other moms, eh? So what if she likes the tooth fairy. If you both know Jesus, then you have in common the one thing that matters most. Previous articleI Cannot Relate to This at All Because I’ve Never, Ever Hidden From My Kids While Snacking. Ahem.